HIGHLANDS – The Chamber of Commerce heard the details of a new bond issue that is proposed by the Goose Creek CISD for the election in May. The presentation was made by Jessica Woods, director of the Chamber, and a school board member representing District 3. 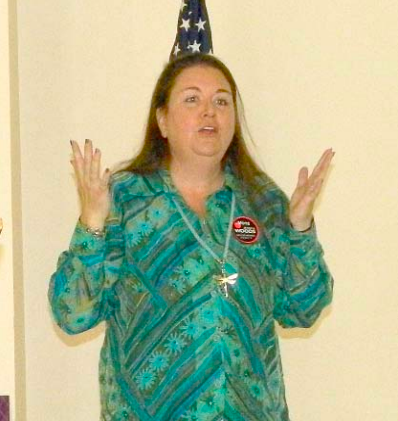 Woods presented the facts behind the need for the bond issue, but did not take a position on whether to vote to approve. The new bond is named GCbond2019 to distinguish it from the bond issue that failed to pass last year. The new bond will raise $335 million for a variety of needs, but will not include the multi-purpose and athletic center from last year’s bond, which had two propositions totaling $437.5 million. The 2019 bond referendum includes $114m for updating Aging schools and Repairs, $155m for New School construction, $12m for Athletic improvements, $3.75m for Safety and Security improvements, and $49m for Technology. Details of this bond issue were put together by a Citizens Bond Planning Committee made up of 42 community leaders, parents, and teachers representing a cross section of the District. This committee, made up for proponents and opponents of the 2018 bond referendum, received information on current facilities and program needs, demographic growth projections, and then toured the schools. In January 2019 they made a proposal and final recommendation to the GCCISD Board of Trustees, which approved the committee’s recommendations in February by a unanimous vote of 7-0. Well, there is to be a steak cook-off beginning at 10:00 a.m. that morning. Teams can buy a ground of 10X15 foot to cook some of the finest steak meat in Texas. Now the extra good part for just eaters is when the contest is over individuals can buy steak dinners cooked to order for $20 a plate. For those that like tossing games a corn-hole tournament is to begin registering at 1:00 p.m. and begin at about 2:00 p.m. the buy in per team is $25. There is to be a Live and Silent Auction including items not available anywhere else. The Crosby Education Foundation (CEF) has embarked upon a new campaign which they are calling the Crosby Cougar Family Pride initiative. The purpose of this campaign is to unify the community with Crosby ISD (CISD) during this time of financial hardship and recovery. They are also trying to raise some funds to help the District maintain essential programs through this difficult period. CEF is raising money to provide for essential services and supplies which are needed by CISD but had to be cut from the budget due to the financial exigency. They are targeting those programs and services which have the greatest impact on the academic achievement of the students, such as reinstating the Accelerated Reader programs at all Elementary campuses, funding a supplemental tutoring program for student testing, and assisting the District with attracting and retaining top-quality teachers. They are also working with the District to identify additional program and supplies which were cut from the budget. Three people were injured in a house fire that destroyed their mobile home, last Wednesday at about 11:45am. The home was located in the northern section of the town, in a development known as Highlands Park near 300 Highlands Shores Road. Highlands Fire Department responded to the call, bring their water truck as well as pumper trucks and an ambulance. The reported that three people were injured, two with smoke inhalation and one with first degree burns. The Harris County Fire Marshal’s office also responded to the call, and an investigation is underway to determine the cause of the blaze. Leaders from communities met with EPA representatives on Tuesday, March 5th, at EPA Headquarters in Washington, D.C., to push for action at their Superfund sites. “We need action in our communities where people are sick and dying because of exposures to chemicals in the environment,” was the resounding cry for help from community leaders. Jackie Young, executive director of Texas Health and Environment Alliance, discussed the San Jacinto River Waste Pits and Jones Rd Superfund Sites with the agency. 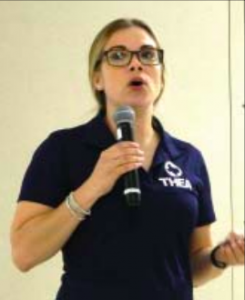 “I asked the agency to finalize the Community Involvement Plan for the Waste Pits and to create a Community Health and Safety Plan for the cleanup,” said Young. The group met with Steven D. Cook, Deputy Assistance Administrator for the Office of Land and Emergency Management (OLEM), Peter C. Wright, Assistant Administrator of OLEM, James E. Woolford with the Office of Solid Waste and Emergency Response (OSWER) and other EPA staff. The meeting was organized by the Center for Health, Environment & Justice as part of a commitment from EPA to meet quarterly with communities at risk from Superfund sites. 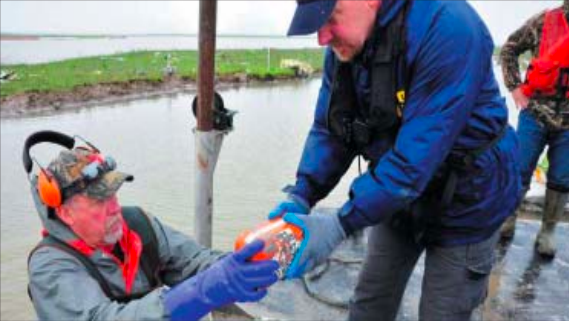 Relocation of families living among some of the most toxic chemicals was an overarching issue. How can communities trigger relocation as the policy is unclear? Leaders called for a committee or task force to find ways to clarify this section of the law. Officials from the Harris County Flood Control District, and the Engineering Department, have been holding a series of meetings around the county to explain how the $2.5 billion bond issue, that was approved last year in 2018, will be used to alleviate flooding. Last Tuesday, March 5 they met with residents of Barrett Station, at the Community Center, to show plans and hear ideas and comments from the public, according to HCFCD project manager Roger Duong. HCFCD engineering director Marcus Stuckett explained that the Barrett Station area has two projects affecting the flow of storm water away from the district. Duong said that currently the drainage ditches are too flat, and the road and entire St. Charles neighborhood is too flat, and therefore water is not moving away in the ditches. The proposed solution is to widen and deepen the existing ditches, moving the water from the east side of Barrett, to the west side, and eventually to the irrigation canal and the San Jacinto river. The engineers said that this solution should lower the accumulated water by a few inches in a normal rainfall, and up to 3 inches or more in an intense storm. 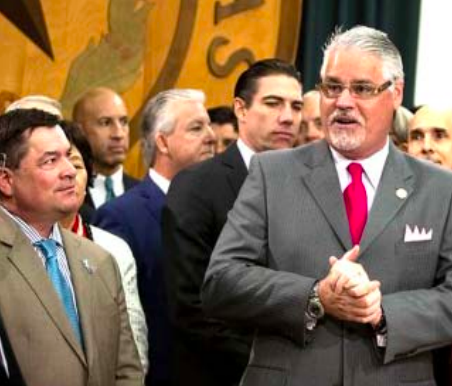 AUSTIN: State Rep. Dan Huberty, R., District 127, formerly of District 128, has ridden shotgun on a $9 billion school finance reform bill that is to send more state money to public schools and lower school property tax rates, according to lawmakers. “The Texas Plan,” or House Bill 3, has had Huberty hopping around explaining to Republicans and Democrats that a $9 billion increase in the base funding for each student and compressing school districts’ property tax rates by 4 cents statewide, among other policy items, is not only possible but necessary. Pre-K for full days for eligible students also benefits, and sending more money to school districts with higher concentrations of disadvantaged students. In his State of the State Address, Governor Abbott named three “emergency items”: they are teacher pay, school finance reform and property taxes reform. Once in the Senate, although backed by Lieutenant Governor Dan Patrick, is another world of politics. The Cody Stephens bill is now in a form that fits agencies like the U.I.L. and other organizations in that parents and first time athletes will receive a letter informing them that in addition to the doctor listening to the athletes’ heart with a stethoscope a modern E.K.G. machine evaluation can also be obtained for $15 or $20. The compromise is that it offers parents and students to opt in for the E.K.G. from information provided to them. Several groups have formed throughout the nation in favor of adding the new technology to read the multitude of problems that can be present in the heart even though the youngster shows no outward signs of having a heart problem. These groups generally have had loss experiences like Scott Stephens of Crosby. 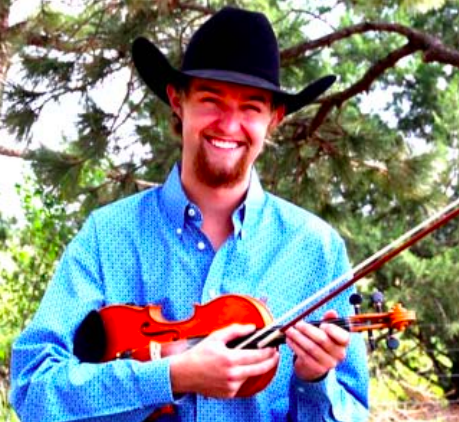 Scott’s son Cody died on May 6, 2012, a few weeks from graduating from Crosby High School. He was excited to be headed to Tarleton State University on a football scholarship, and working to stay in good physical condition to be prepared for college football practices. After Cody died, his family took Cody’s motto and turned it into an effort to screen young hearts to prevent another family from experiencing the same tragedy. This Ford was driven by a man charged with “intoxication assault” related to a crash on US 90 on Friday at about 7:41 p.m., it had 4 passengers and a driver at the time of the accident. 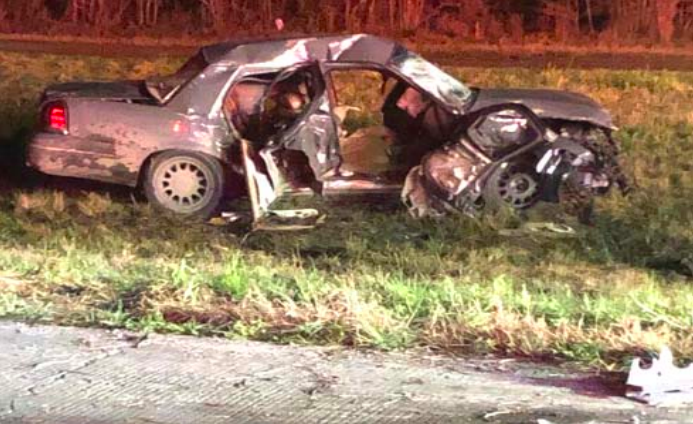 CROSBY – A three-vehicle collision injuring eight, including two pregnant women, occurred Friday, March 1 at about 7:41 p.m. near the intersection of US 90 at Westgate. The Harris County Sheriff’s Office investigated the horrendous crash and Harris County ESD#5 (Crosby’s ambulance crews) were the primary rescuers with Crosby VFD. Jordon Paris, 19. faces intoxication assault following a field sobriety test in an accident that Paris is said to have “failed to yield right of way at a designated stop.” His court date was set for Monday. Members of the recovery team load the second black box onto a boat for transport back to land, and then on a plane to Washington, D.C. for data recovery and analysis. ANAHUAC – Search teams have found the missing “black boxes” from the wreckage of the Atlas Air 767-300 cargo jet that crashed into Trinity Bay last Saturday, February 23rd, on a flight from Miami to Houston. They have also recovered the remains of the three crewmen that were on the plane when it went down. The third body had proven hard to find, as well as the black boxes, due to the thick mud below the murky, opaque water. But hundreds of volunteers, some from the Texas Search and Rescue organization, methodically waded through the water feeling below, when they couldn’t see. Dive teams from Houston, Baytown, and the state DPS were assisting in the search, as well as other authorities such as the Chambers County’s sheriff and fire departments. They announced last Sunday, March 3rd, that they had recovered the Flight Data Recorder. Earlier they had found the Cockpit Voice Recorder. They also said that they had found remains of the third victim from the plane, which had eluded the searchers for days after the first two bodies were discovered in the waters of Jack’s Pocket, a backwater of Trinity Bay near Anahuac. Aboard the plane had been the pilot and the copilot, Capt. Ricky Blakely and First Officer Conrad Aska, and another pilot Capt. Sean Archuleta who was riding back to his home in Houston. The plane was carrying cargo for both Amazon and the U.S. Postal Service, according to the airline. 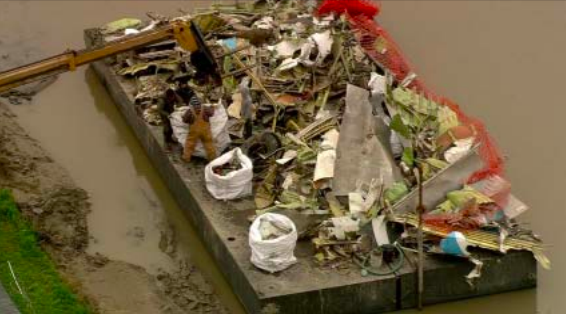 Most of the packages were strewn through the bay, as well as hundreds of small pieces of the Boeing 767 jumbo jet. Very few large pieces survived the crash. A barge is loaded with small pieces of the airplane and cargo, to be transported back to a hangar at Chambers County Airport for inspection and analysis. Complete recovery is expected to take months. The two black box recorders have been sent to the NTSB laboratories in Washington, D.C. for analysis. The cargo plane was on a flight from Miami to Houston. About 30 minutes from landing at Houston Intercontinental airport, air traffic controllers warned the pilot that he was headed toward bad weather. The pilot asked for permission to fly around the storm, to the west. After that transmission, no other voice was heard from the plane. Flying at about 12,000 feet, at 12:35 the plane disappeared from radar, without a distress signal or other communication. Witnesses said the plane nose-dived into Trinity Bay near Anahuac, in about 30 seconds.